There are several courthouses in downtown Tampa. The Tampa divorce cases are held at 800 E. Twiggs Street. This building serves several divisions and the forth floor concentrates most of the family law judges for Hillsborough County, which is part of the thirteenth judicial circuit. These judges handle divorce, child custody, alimony, child support, and paternity cases for the Tampa, Florida – Hillsborough County area. There is a paid – parking garage just up the street. Spaces tend to be plentiful. Filing for divorce in Tampa Florida is similar, if not the same as divorce in other Florida cities and counties. However, Tampa and Hillsborough County have some local rules that are different. One key difference in Tampa divorce cases is that a Case Management Conference is immediately scheduled in every new case. Once there is a divorce filing, a date is set for the first Case Management conference. The conference is held in a family law court in downtown Tampa before a family law judge. After the first Case Management conference, a follow-up conference is scheduled approximately every 8 weeks for as long as the case is active. The positive side of this process is that cases are pushed along and there is less chance of the case becoming stagnant. The negative side of Case Management Conferences – they drive up the cost of a divorce in Tampa. One look through the Tampa yellow pages will show the obvious: there are a lot of divorce lawyers. So how do you select a Tampa divorce attorney? Two of the most frequent complaints about divorce attorney’s are: failure to explain costs for your divorce, and failure to return telephone calls. Other than the obvious need for competency in all areas of family law, your lawyer must do a good job at communicating with you. Lawyer fees are no different than other types of services you purchase – you want to know the cost. 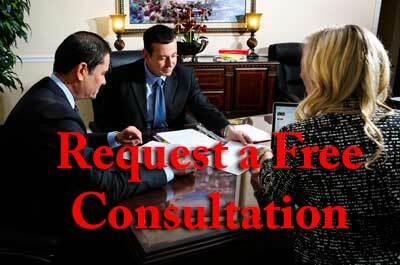 Your divorce attorney should take time to carefully explain all potential costs with you. Phone calls should be returned within 24 hours. The staff should be friendly and courteous at all times. Why are we different? At Ayo and Iken, we promptly return all calls. We always explain the steps in your case. An informed client is the best client. And that is our goal – to make you an informed client. We openly talk about costs. Money does not grow on trees and we understand that. We quote flat fees when possible. Also, we welcome discussions on costs and do our best to minimize those costs. Are you looking for mundane or ho-hum tricks to survive divorce court? Preposterous! You’re looking for brilliance, and we have that ready for you. Take a look at these sure-fire tips that we’ve compiled for you. While we can’t guarantee that your divorce will be stress-free, we can assure you that you will have a much better grasp on surviving divorce court. If you go to divorce court expecting to seek revenge, you will most likely come across as petty and unrealistic. Not only will you probably loose your case if you have this mindset, but you could also be counter-sued for reasons such as deformation of character or abusing the court system. Meditation is much less formal and less stressful than litigation. It provides a quiet environment where both parties can work together with their lawyers to come up with an agreement that works for everyone. Because it’s less structured, usually everyone involved is much happier with the results. Being honest with your lawyer is extremely important. If you don’t tell your lawyer the truth, you could end up looking like a fool and end up embarrassed when the truth comes out. Or, much worse, you could loose your case because nobody will believe what you have to say. While the court system’s goal is to protect your rights and bring justice to the world, this isn’t always what happens. Even if you know you’re in the right, be prepared to show evidence proving your claims. While you know the truth, that doesn’t mean that everyone will believe you just because you say something’s true. For more information about divorce court, or to talk more about anything that we’ve covered, please feel free to contact us. We would love to help you learn more about surviving divorce court.